Our next Storyland title is a vocabulary-packed picture book all about a busy little, cookie-loving mouse: If You Give a Mouse a Cookie by Laura Joffe Numeroff (illustrated by Felicia Bond). The story starts perfectly: "If you give a mouse a cookie," is immediately followed by, "he's going to ask for a glass of milk." And with that, we're off to the races with a rambling tale that would sound perfect coming out of the mouth of a preschooler. If this happens, then that is going to happen and if that happens, then this is going to happen. Reminiscent of The Song That Doesn't End, the story wraps up with a wide-open invitation to turn back to page one and start all over again. What makes If You Give a Mouse a Cookie so wonderful is the pictures. They are packed with all sorts of fun stuff that most children will recognize from their own homes. The kitchen contains cookie jars, a toaster, a blender and all kinds of other goodies. The pictures open up a world of possibilities for growing a conversation between caregiver and child. To help reinforce vocabulary knowledge in older preschoolers, try playing the I Spy Game while reading the story. Try to make sure the objects you pick aren't unfamiliar to your child. 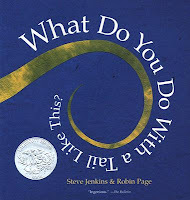 Having conversations about what is happening on the pages of picture books is called Dialogic Reading. Research shows that it can be a powerful tool for improving a child's reading comprehension and understanding. For younger kids, it is best to stick with easy-to-answer "closed" questions. These are the types of questions that basically have one correct answer. Questions like: "what is this?" or "what color crayon is the mouse using to draw?" For preschoolers and older kids, you can ask more complicated "open-ended" questions. These are questions where the child is asked to predict or provide a more reasoned-out response. Questions like: "what do you think is going to happen next?" or "why do you think the mouse decided to use the green crayon?" The predictive structure of If You Give a Mouse a Cookie makes it a perfect fit for asking lots of questions of this sort! When doing activities like the I Spy Game and Dialogic Reading, remember to encourage your kids and provide them with help when they need it. Children learn best when they engage in activities that are both meaningful to them and fun, so try to keep things interesting and silly. If your kids aren't into the activity at the time, try again later. 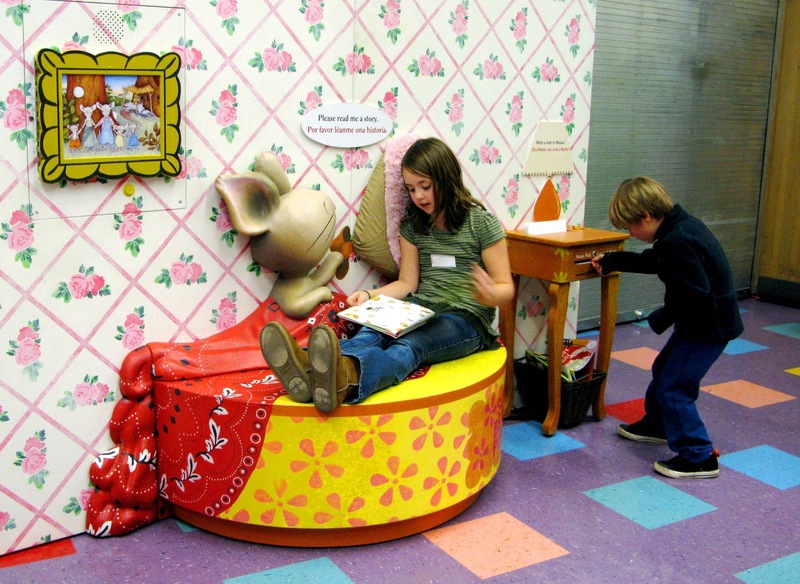 The Storyland exhibit is on display at the Portland Children's Museum until May 5, 2013. Visitors can explore mouse's chocolate chip cookie or join him on his powder box and read him a story! To visit the Children's Museum for free, contact your local Washington County library today and arrange to check out a Cultural Pass. 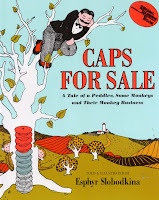 Here are a handful of books that do a great job of letting kids practice making predictions and are perfect for dialogic reading. The classic tale of a peddler (ooh! there's a fun vocabulary word!) and a bunch of monkeys! Who took the peddlers hats!? Do you think they will give them back? 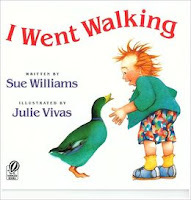 The text repeats "I went walking" and "What did you see?" Visual clues help kids predict and answer. 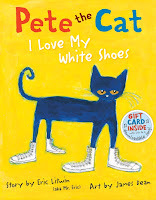 Pete loves his white shoes, until he steps into a large pile of strawberries... "What color did it turn his shoes?" Guessing colors and consequences was never this fun! Title: What Do You Do With a Tail Like This? Various animal parts are shown along with a simple question "What do you do with a _____ like this?" The real answers are almost as fun as the answers kids come up with! 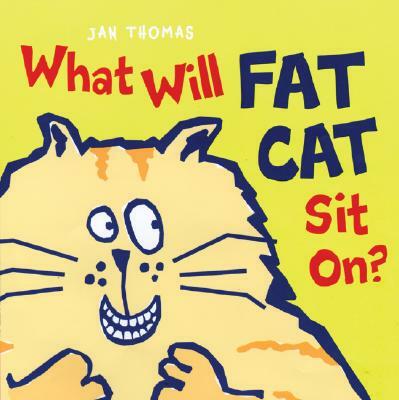 Title: What Will Fat Cat Sit On? 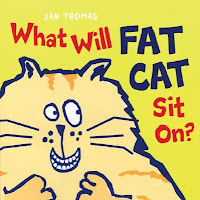 Fat cat is going to sit on something... or someone! Who's it going to be? !